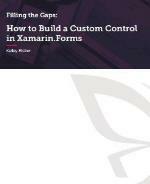 Xamarin.Forms provides a wide variety of basic cross-platform native mobile controls, but sometimes you need to step out of the box and build your own. At Xuni, that’s our gig: we create custom controls. Soon you will, too.